has received a Distributor Choice Award!We are honored that Mold & Mildew Stain Remover was selected as one of the top products among 300 others! Mold & Mildew Stain Remover quickly penetrates and removes stubborn mold and mildew stains on tile, grout, porcelain, fiberglass, and all non-porous areas. Leaves the surfaces clean and stain free. 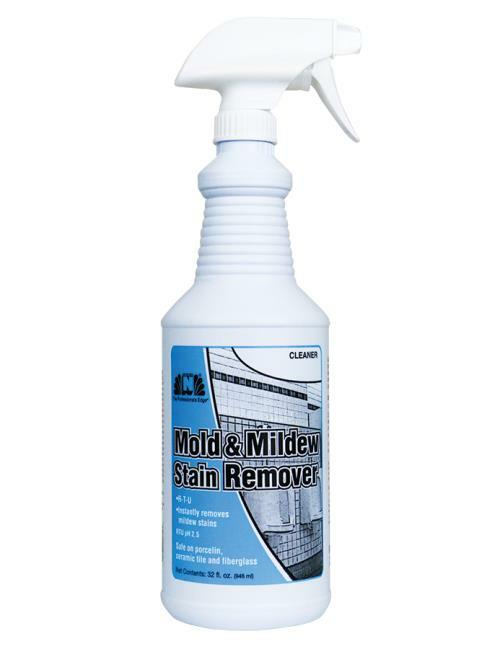 Mold & Mildew Stain Remover harnesses the cleaning power of an inhibited (safe) hydrochloric acid coupled with a new surfactant technology used to clean degrease aircraft engines. Effectively lifts stains and prevent their reoccurrence. With regular use, Mold & Mildew Stain Remover will create an acidic environment which is not favorable for the growth of common mold species. •Low VOC – No harmful fumes.